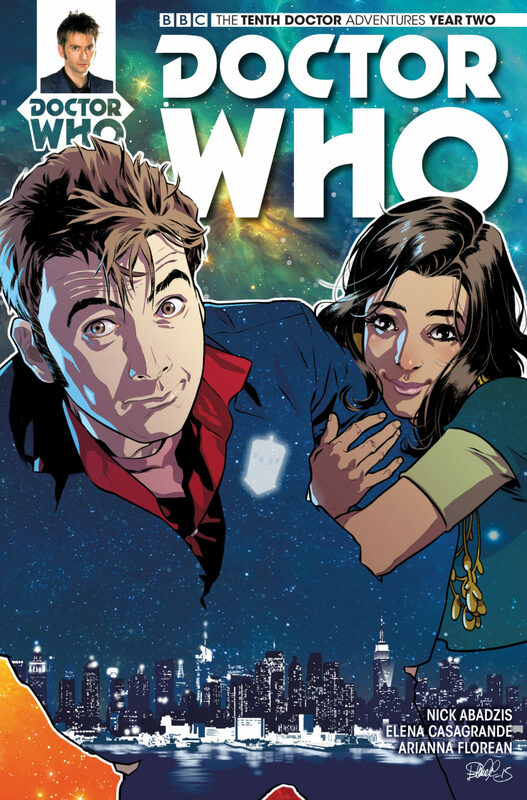 Even though he regenerated six years ago, the Tenth Doctor has gained a new lease of life, courtesy of Titan Comics’ ongoing series, written by Nick Abadzis and regularly drawn by Elena Casagrande and Eleonora Carlini. 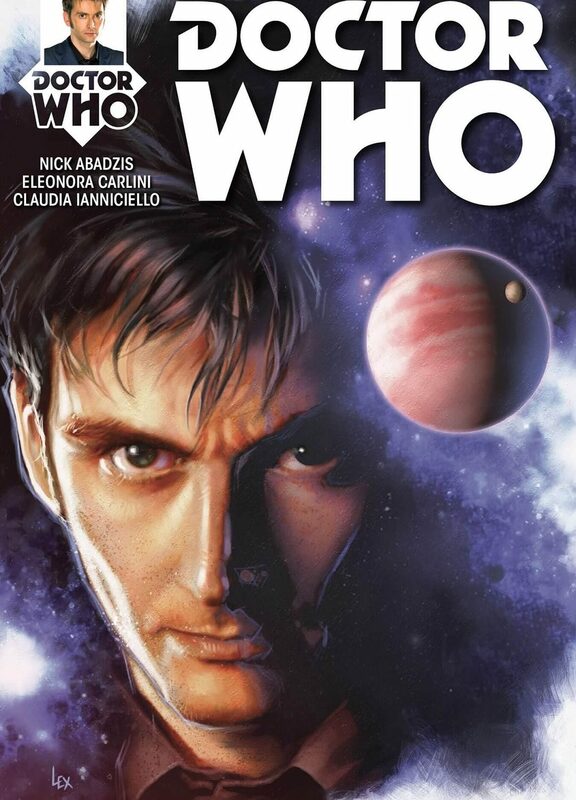 Having written The Betrothal of Sontar for the Doctor Who Magazine, and further exploring space with his award-winning graphic novel, Laika, Nick was approached by Titan to write for David Tennant’s incarnation of the Time Lord. This is the second part of our chat with Nick; if you’ve not read Part One, you can find it here. DWC: Are you very involved in the comics community? Do you go to many conventions? Nick: It depends. Personally, I’ve taken a breather from doing too many big conventions as I used to do loads. I’ll certainly promote my latest books and support my publishers and I’m quite happy doing signings and panels and the like. But much of my time these days is spent either writing or parenting, and I’m not good with crowds at the best of times, so I tend to evaluate quite carefully whether I’m going to attend a certain show or not. I like well-organised shows, which might be large or small. I like small shows that allow more obscure comics creators to get seen. I like the artist alleys of the bigger shows. Any community that surrounds an industry is important, as it’s via that community you get a sense of both consensus and of activity and experimentation happening in the margins. In the case of comics, which is so much about communication, doubly so. I don’t always believe the consensus – you should always check things out for yourself – but comics always has an edge of innovation and experimentation at the outer edges of its community by virtue of the fact that it’s something that can done in isolation. It can have a very DIY ethic, which is a thing about it I’ve always loved a lot. As much as it is an industry, it’s also a fantastic mode of self-expression. Back in the day, that way of doing things used to happen exclusively through media like self-printed mini-comics and zines, but more and more it’s happening via webcomics and personal blogs. The language of comics is also colonising big business via visual facilitation and graphic recording (areas I work in a lot), and it’s long been used by the IT industry as a visual shorthand. Every time you pick up your iPhone and look at the speech balloons, you’re effectively decoding and using an aspect of comics grammar right there. So, the “comics community” is an incredibly varied and populous thing these days, that extends into many other industries. It’s everywhere. We are Hydra. Being an artist yourself, and even having drawn a variant cover, would you fancy a crack at full artistic duties for an issue, or do you find having Elena Casagrande, Eleonora Carlini, and co. bringing different ideas to the table is better for the comic? I’ve written and drawn many comics and graphic novels, but really, I’m a different kind of artist – a cartoonist who draws comics, as opposed to a comic strip artist. Initially, I drew basic page layouts for each issue, but I tend not to do that so much anymore, just advise on breakdowns and visual story flow. Elena, Arianna [Florean, colourist], Eleonora, Giorgia, and all the artists we’ve had, all hail from a certain Italian school of drawing comics, and although they all have their own different styles, there’s also a sort of overall sensibility they share, a kind of dramatic expression that seems perfect for the Tenth Doctor, for what we’ve established for this run of comics, anyway. Full credit to Elena, who established that direction. I love what they do – they each really put their all into it, we all do – so I’d be loathe to change the style! My take would probably be a lot more cartoony, and as I like a bit of drama, I think we’ve got a great balance. I’m somewhat retired from drawing comics now, to a degree, apart from very personal projects. This way, I get more of my ideas out there – it’s just a faster process – and working with fantastic artists like these, who take those ideas and interpret them in their own unique way but also get where I’m coming from, I feel very lucky. How far in advance do you plan storylines? For the first year, we didn’t have much time and to a certain extent, we’ve still been playing catch-up until fairly recently, although I planned everything from my second arc in year one through to the end of year two in advance, which was about a year and a half’s worth of stories. I’m writing the final arc in year two now, based on that plan. Because it’s Doctor Who, you need to have a lot of ideas – you hear all the TV writers talking about how it eats ideas and it absolutely does. Chews through them like a monster. 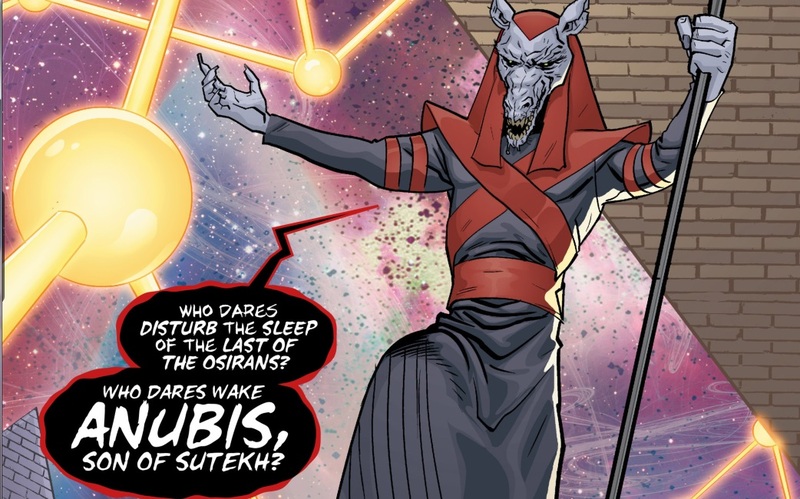 Presumably, the arc based around Anubis [son of Sutekh, the Osiran God who the Doctor fought in Pyramids of Mars] has been in your mind a while now? So yeah, it’s been in my mind for some time, but you never know quite how it’s going to play out, as, even though I have an outline and know what the broad strokes of the story are, there are always happy accidents. As you’re writing, new ideas present themselves, and without wanting to go down a rabbit hole, if I can make them fit and they make the overall story more intriguing and entertaining, both for the reader and me, then I’ll try and incorporate them. What you find when writing Doctor Who is that there are so many possibilities that you could develop, it would be quite easy to go off on a million tangents, so you also have to be quite rigorous and restrained, and make sure you tell a good story. It must be hard to specify which other Doctor(s) you’d like to write for, but how about any particular companions? I love writing the Tenth Doctor, but it’d be nice to have a crack at writing some of the others, someday. When we started, I was told I’d get a chance to, but it’s yet to happen! Just writing one takes up a lot of brainpower and creative energy. But hopefully the chance to write others will someday present itself. As for companions, I’d really like to see Harry Sullivan in a comic strip. It’d be nice to reacquaint myself with Rose, too. A lot of the Big Finish Companion Chronicles have done sterling work expanding upon the emotional life of many companions; I stand in awe of what Simon Guerrier has done with Zoë in particular. John Dorney too, with Ian; many others. Those plays are superb – they’re not just great Doctor Who, they’re great SF – great science fiction ideas married to drama with a social conscience and awareness. Many of those writers have done exceptional work, and those plays are proof that you can do so much with the companions as characters beyond the scope of their time travelling with the Doctor. Is there a distinct era you’d like to write in the style of? The Fourth really did change to a gloomier Doctor over his time, the Eleventh arguably became more sentimental when he learnt about Lake Silencio and then Trenzalore, but I’m also thinking about how the Tenth Doctor became quite reckless then, following The Waters of Mars, regretful. Well, the Fourth Doctor was “my” Doctor growing up and in particular, the Hinchcliffe and Holmes years had a massive effect on me. Along with certain books, comics and films, I’d count those serials as a major formative influence upon my life and career (not an uncommon thing to say, I know). But as with my approach to the Tenth Doctor, I think mimicking a certain era is probably a bad idea. I mean, I love [Russell T. Davies]’s era, but I don’t try to directly mimic him: it’s more about first recreating but then expanding upon the essential spirit of his version of Doctor Who. So I s’pose if I was going to try and write a Fourth Doctor story, I’d take that personally cherished early period and expand upon that, add my own slant and insight to it. 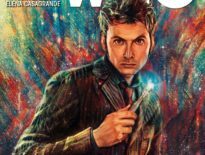 The interesting ones to try would be the Eighth, Sixth, and Seventh Doctors, because there’s so much uncharted territory in their eras, even with all the literary and audio adventures that are available. But every era has its questions – for example, was the Third Doctor one of the shortest-lived regenerations? Or were there times, between onscreen adventures and after his exile was lifted, when he began roaming the universe again, less a part of the UNIT family and foreshadowing the wanderer he’d become once again when he regenerated into the Fourth Doctor? I think we should be told. Doctor Who obviously affected you at an early age; were you similarly a big comic fan? I was immersed in comics from a very early age and was told that I read too many by various teachers and educators. Clearly, they were wrong and I was just ahead of my time. My mother was very positive about anything that told a story, so she was happy feeding me comics, but she also fed me great books, music, art and films, so I think I was just very, very lucky to grow up in an environment where these things were valued. I didn’t have as much luck in education, where they constantly tried to beat it out of me. Good thing I’m determined. I certainly hope I pass on my passion for good communication and storytelling (and they’re not necessarily the same thing, though they often inform each other) in everything that has my name on it. I don’t talk about it much – I prefer to spend my time making things rather than explain the process behind them (I do that when I teach). But if a single person has enjoyed or been inspired by anything I’ve done, then that’s a win right there. A huge thank you to Nick Abadzis. 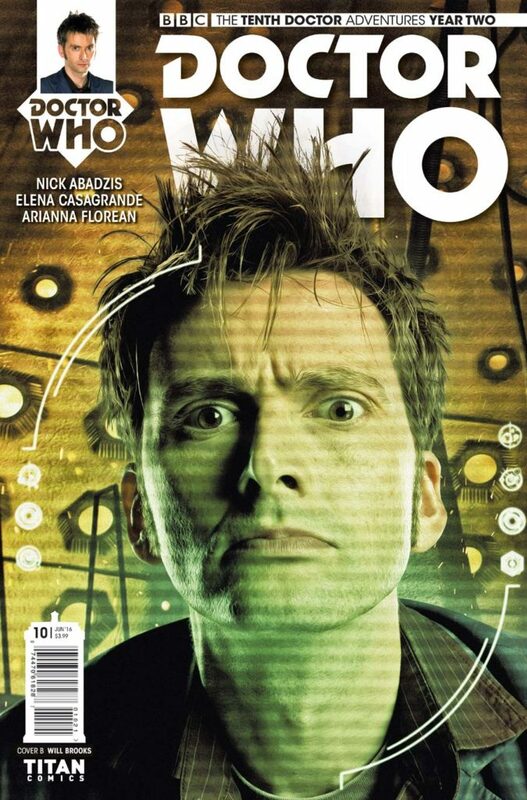 And don’t forget to dig into the Tenth Doctor comic; we highly recommend it! 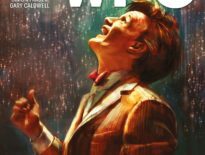 ← Doctor Who Magazine #500: Tom Baker’s ‘Last Interview’?